An apple a day, keeps doctor away. Apples are like a muscle among fruits. They are as tough as they are solid, and they are willing to pass their sturdiness along to whoever eats them. 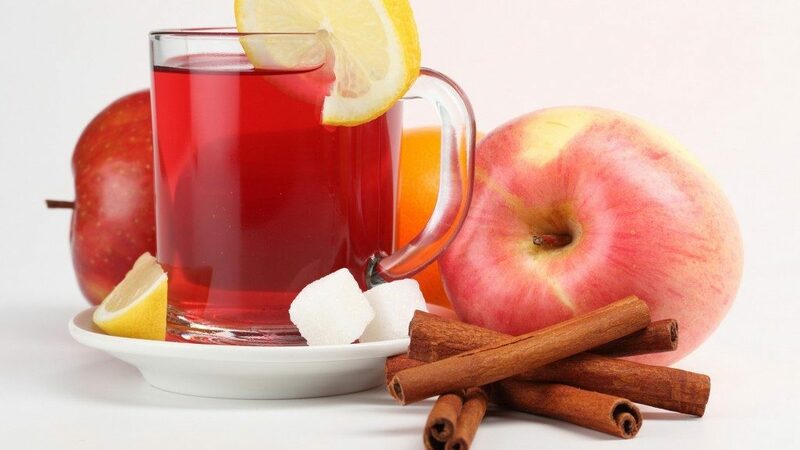 While eaten whole, apples are restricted to the reach of the digestive system, which is vast but slow. Now as a liquid intake, there are far fewer limits to where its benefits can go. 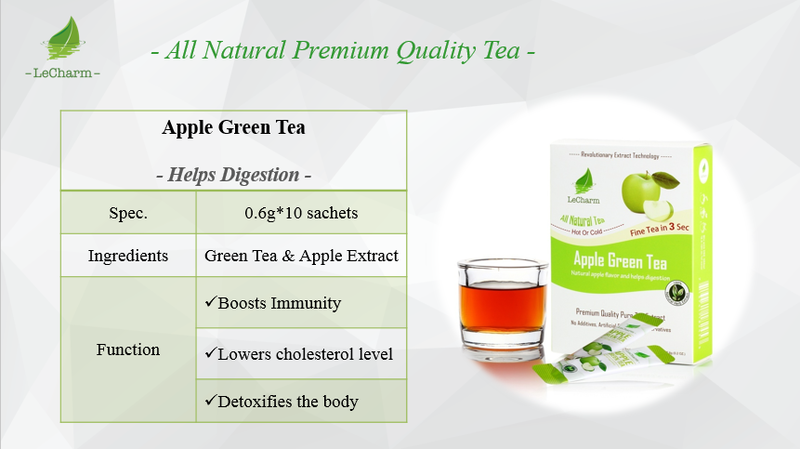 You’ll be able to feel the strength of the apple down to your bones, and your body will feel a new lightness to it if you drink Apple Green regularly. 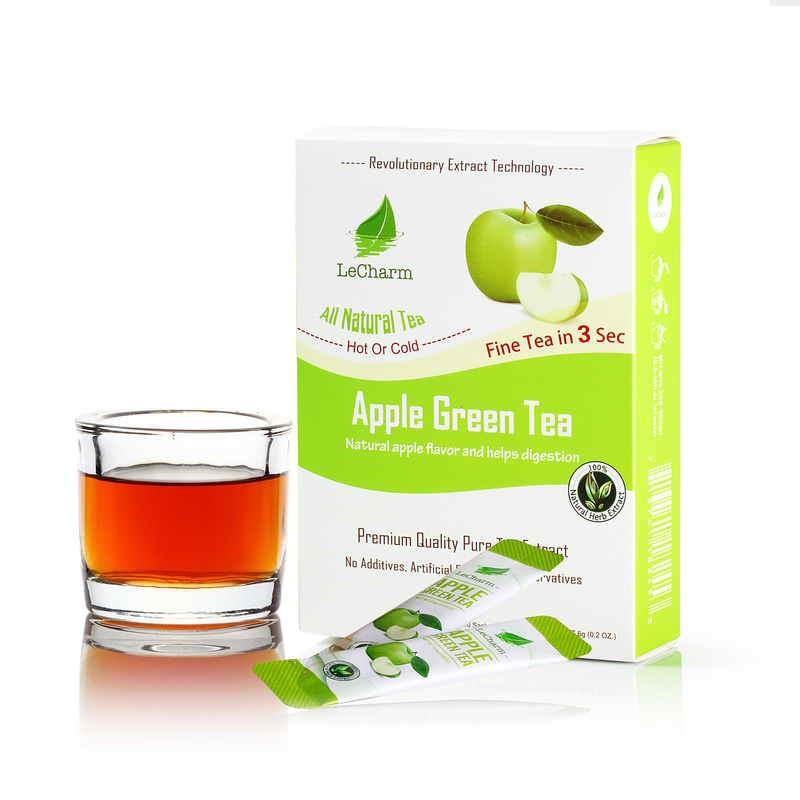 The tea sachet only contains ingredients that are going to dissolve completely in cold or hot the water. There are not any wet tea bags to throw away either. This is something that helps to keep the preparation much easier while on-the-go. With it feels tranquil, like a walk in the park, and each breath vitalizes a tired body. I love the apple flavor, I don’t think anyone else sells apple flavor tea, that I know of. I like to take a sachet to the gym and pour it in cold water, gives it a little taste.